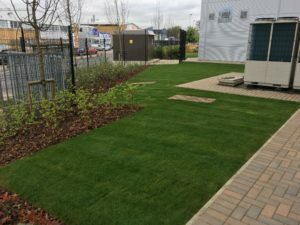 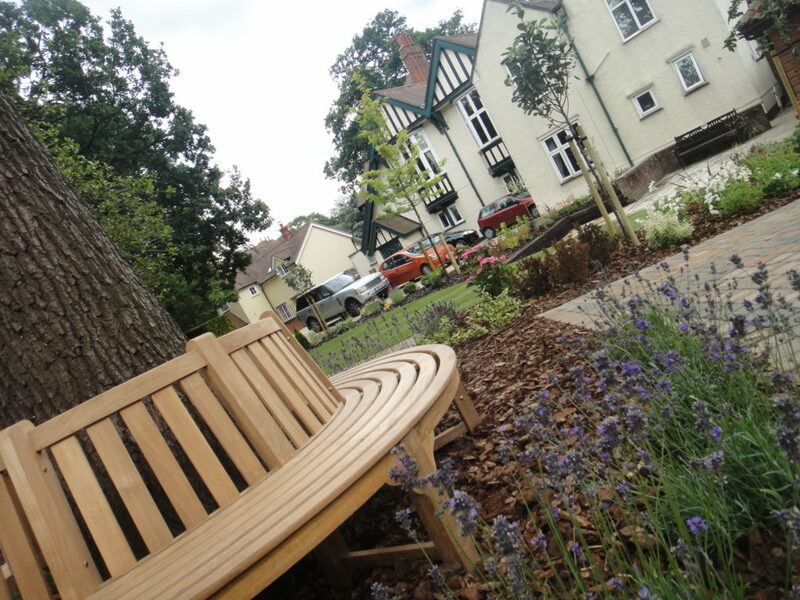 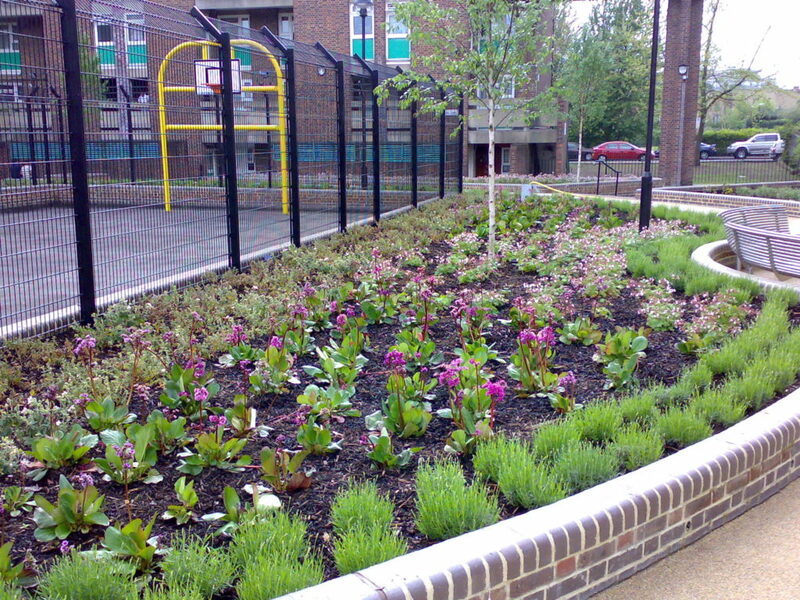 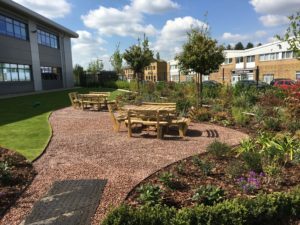 At Greengrass, we assist businesses and public sector organisations looking to ensure thriving landscapes all year round. 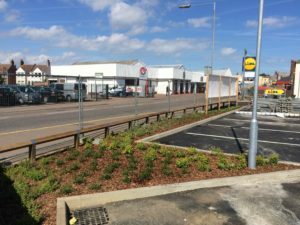 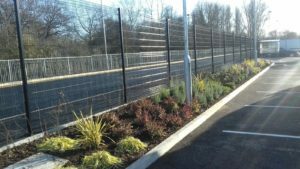 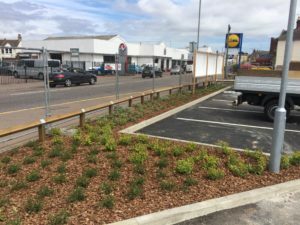 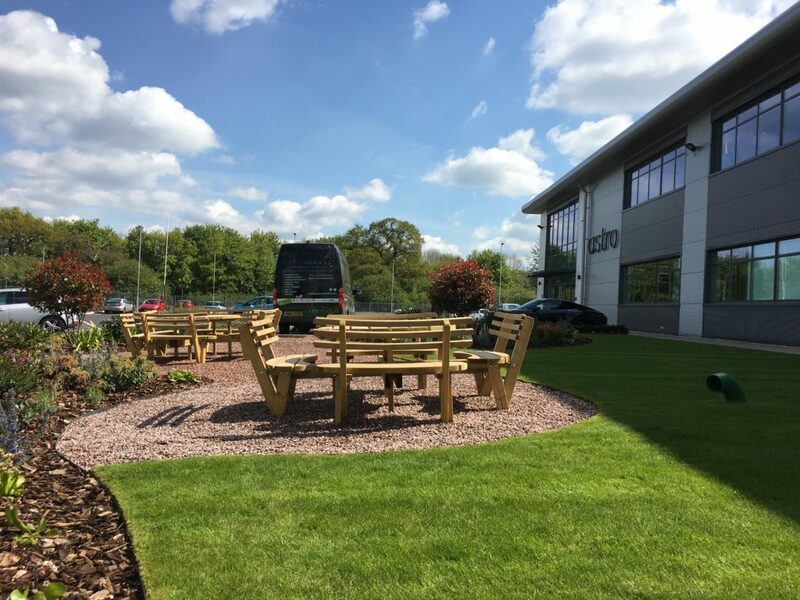 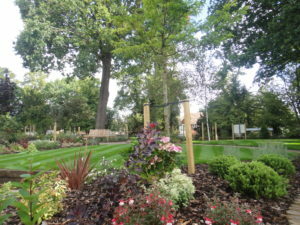 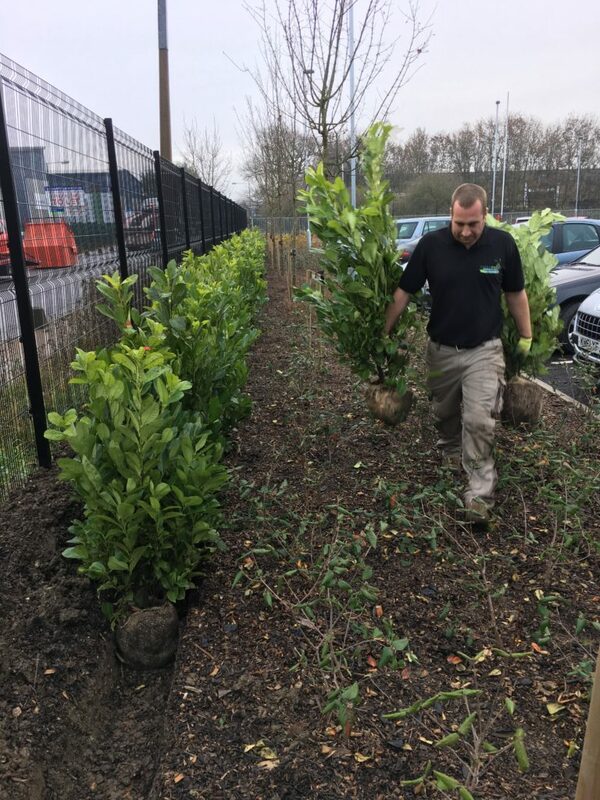 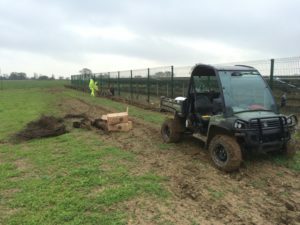 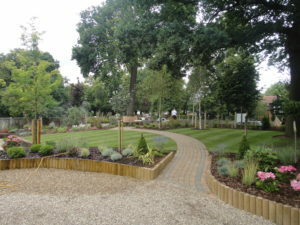 Our highly-skilled horticulture professionals provide tailored commercial soft landscaping services to care for shrubs, perennials and annuals and surrounding land. 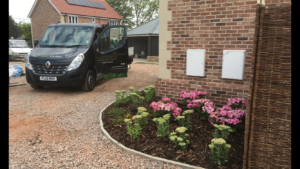 We know first impressions count, so we do everything we can to ensure they always look their best. 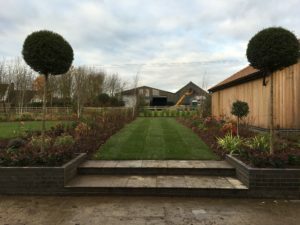 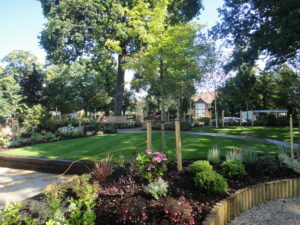 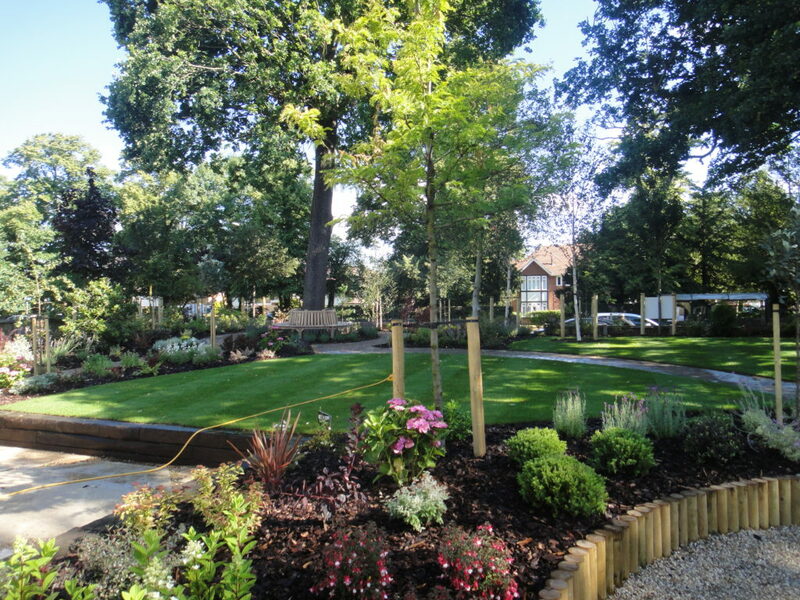 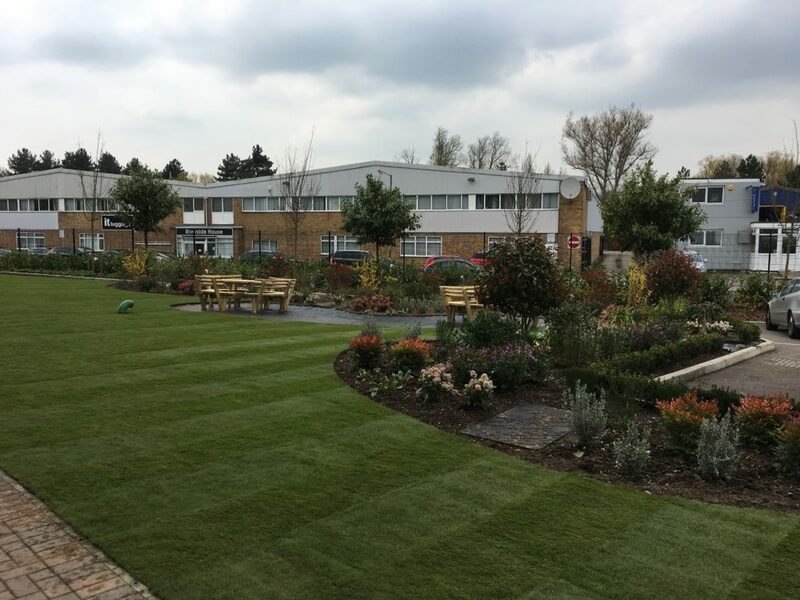 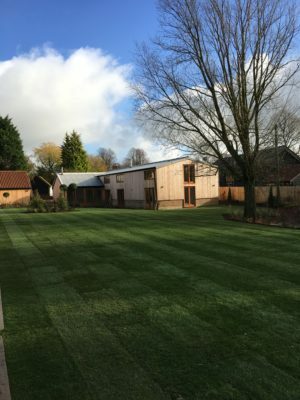 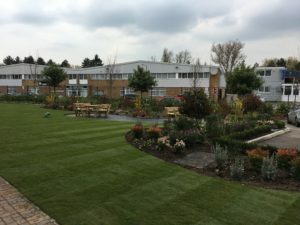 We take great pride in offering a fully customised service to all our commercial clients, carried out to the very best horticultural practices and standards with a consistently high quality of workmanship. 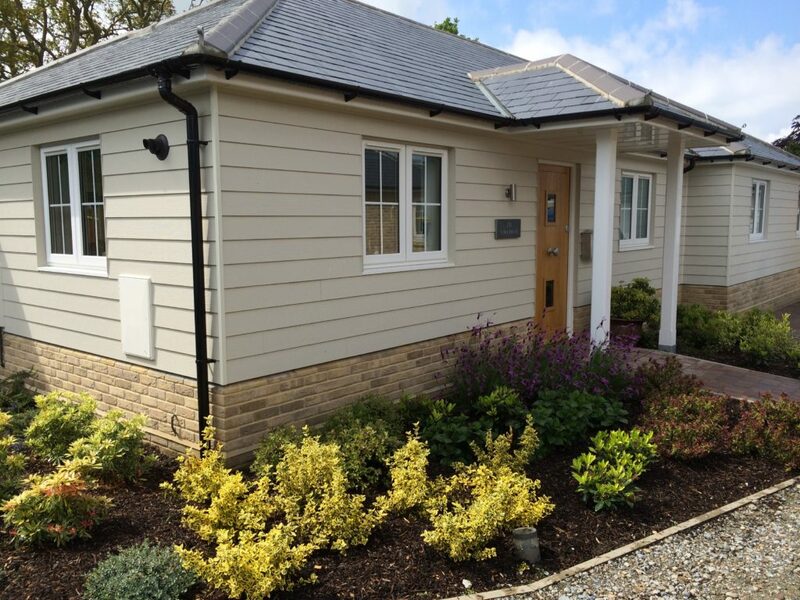 Equally as important, we’ll ensure all soft landscaping tasks are completed on schedule and within the parameters of your budget. 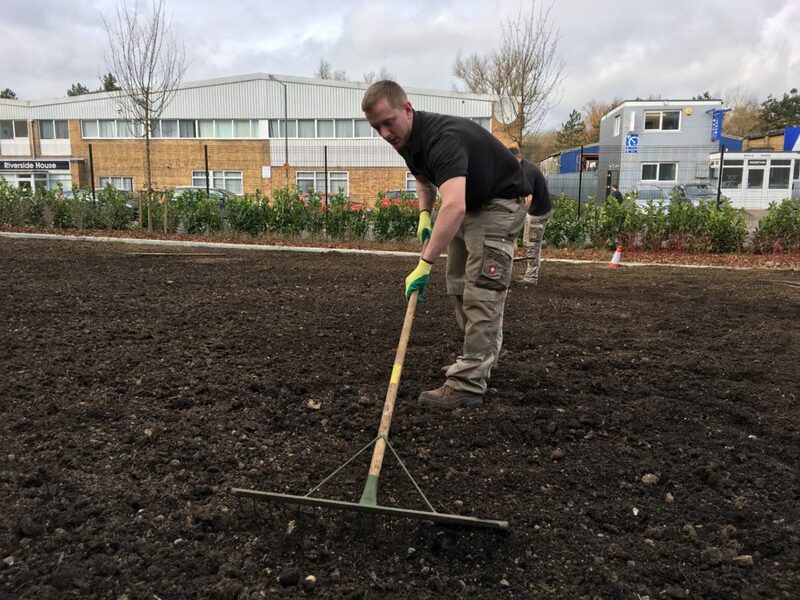 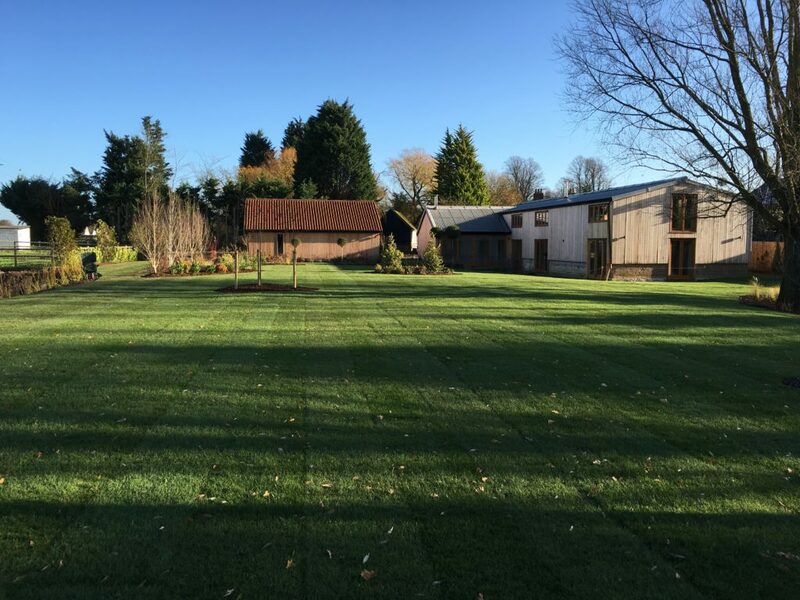 We work with local turf suppliers across North Essex and Suffolk, enabling us to specify and lay premium quality turf that’s hard-wearing, resilient and creates the right impression with staff, prospects and delegates alike. 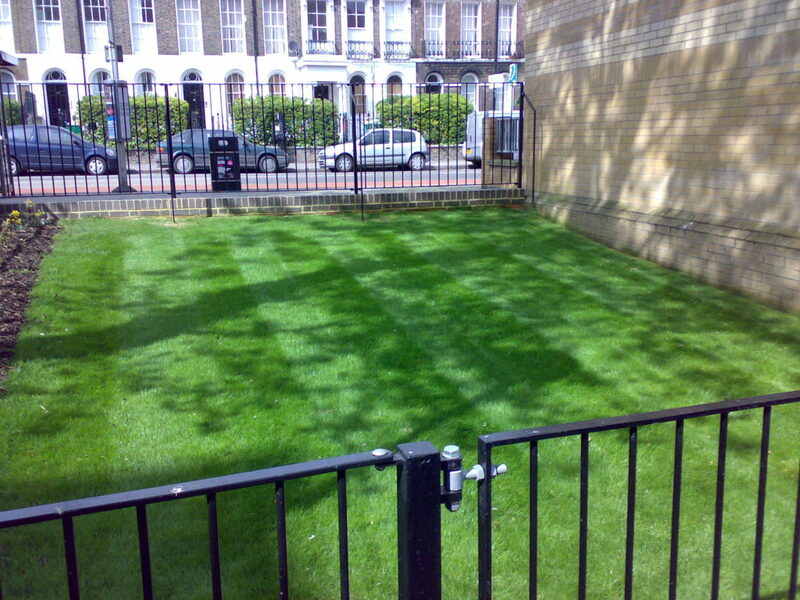 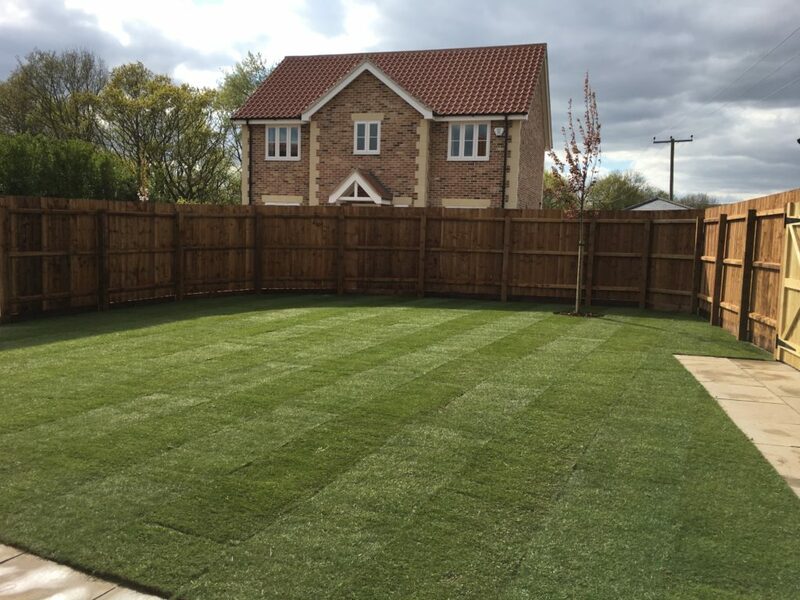 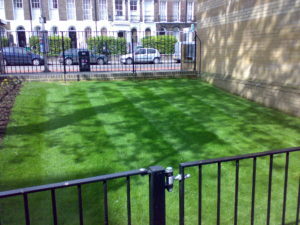  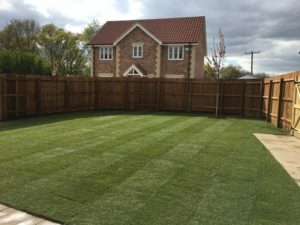 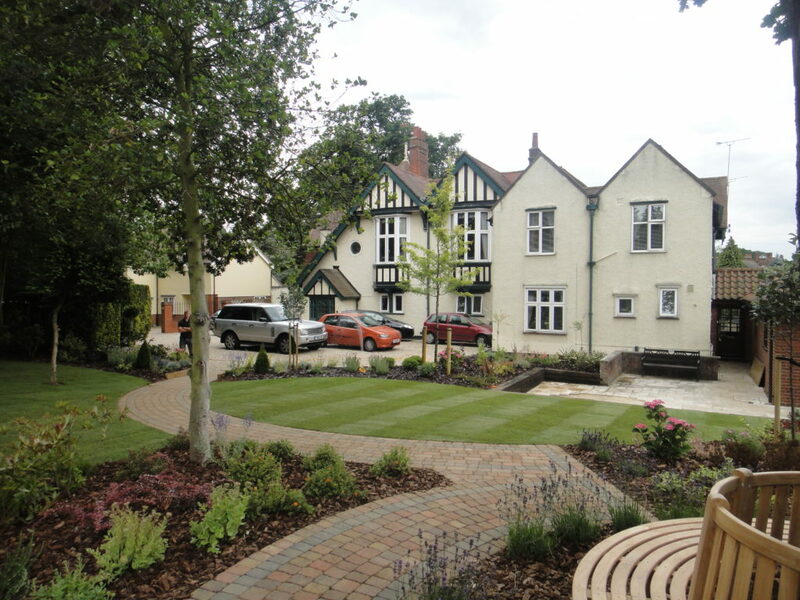 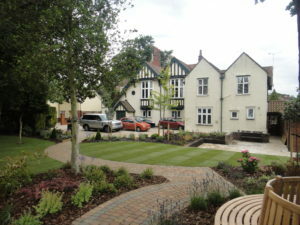 All turfing is completed and maintained by our skilled and knowledgeable team. 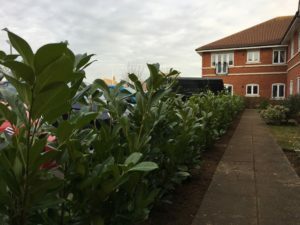 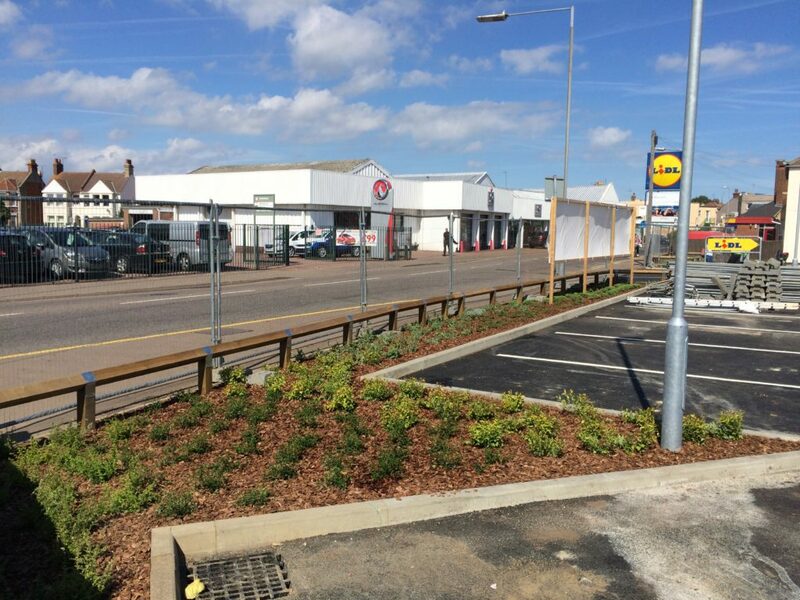 Whatever the size of your commercial space, we take the time to recommend specimen shrubs, climbers and perennials that are best suited to your requirements. Our trusted relationship with a local plant nursery gives us access to over 20,000 plant specimens, giving you complete flexibility to design your commercial landscape the way you want. Whichever size plants you choose, we’ll supply and bed them in spaced out on drip-irrigated nursery beds to ensure hardy plants that will take to their new surroundings with ease and minimal upkeep. 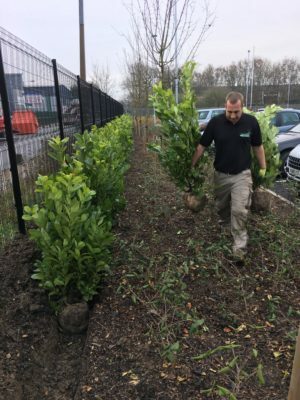 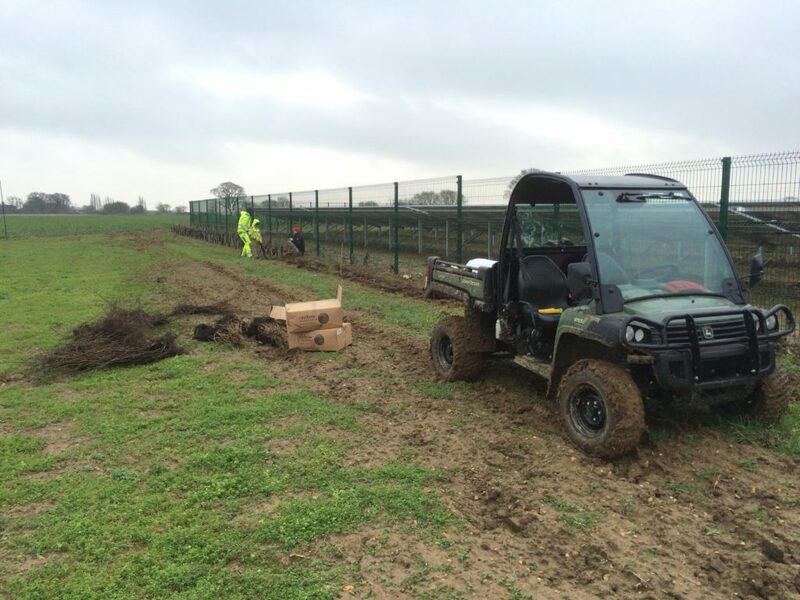 All plants for commercial soft landscaping are collected from the nursery on the day of planting so that we can be sure of their health prior to bedding in. 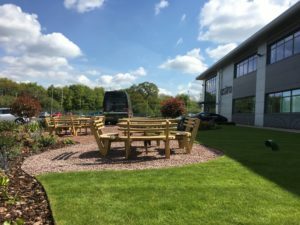 Whatever the size of your commercial project, we go the extra mile to guarantee a space that your business can be proud of, adding a new layer of personality and character to your brand.